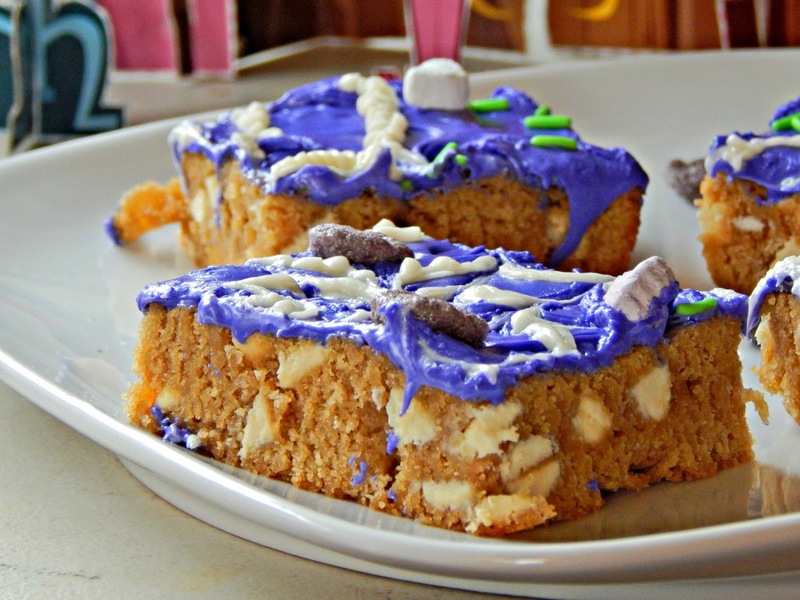 Looking for a tasty cake recipe? 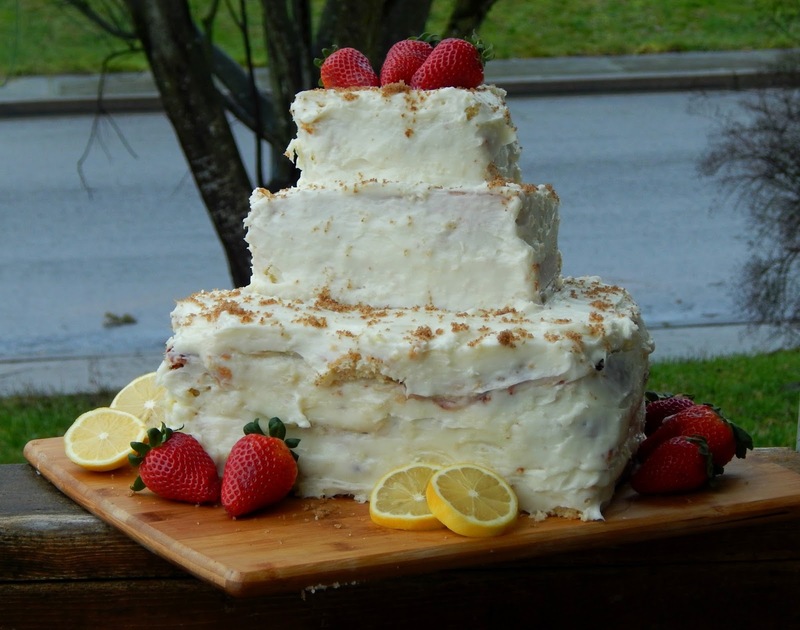 Check out this Strawberry lemonade cake! Happy Monday my friends! I feel as if I have left you hanging for a week – and I guess it’s been nearly that long. I spent half of the week working at my on-call nursing job and I always seem to struggle with keeping up the website when my hours are devoted there…..I’m trying to get better at that though. Have you ever thought there was a way you should be doing something (to maintain traditions, etc.) and then thought, ‘what the heck, I’m going to do it my way’ and did? Good – me too. I had to work last night at my other job, but that didn’t stop me from having a fun morning with the kids creating some tasty treats for them to enjoy while my husband watched some games on TV. 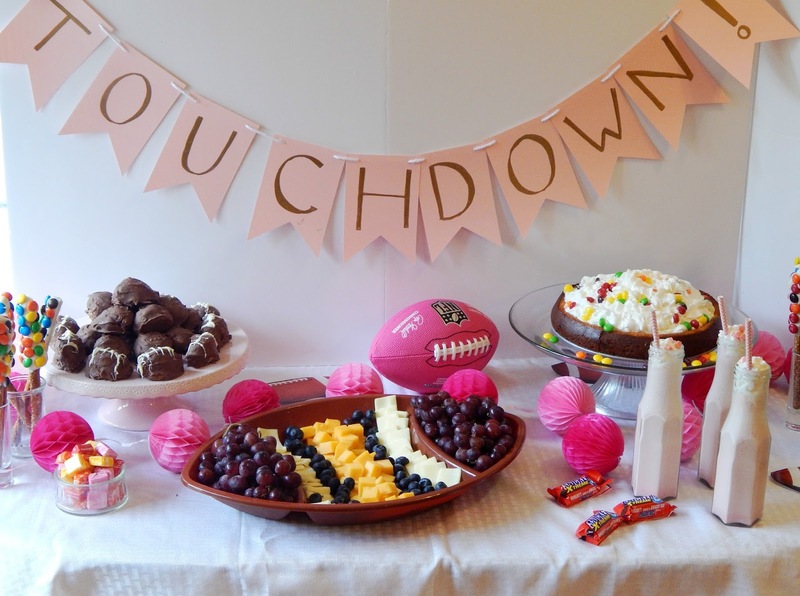 Why not create crazy powder puff pink decorations and sugary treats in lieu of lunch? After all, you only live once. We just got back from a quick overnight trip to Mt. Hood for Emma’s birthday – we had tons of fun snow tubing and exploring in the snow. 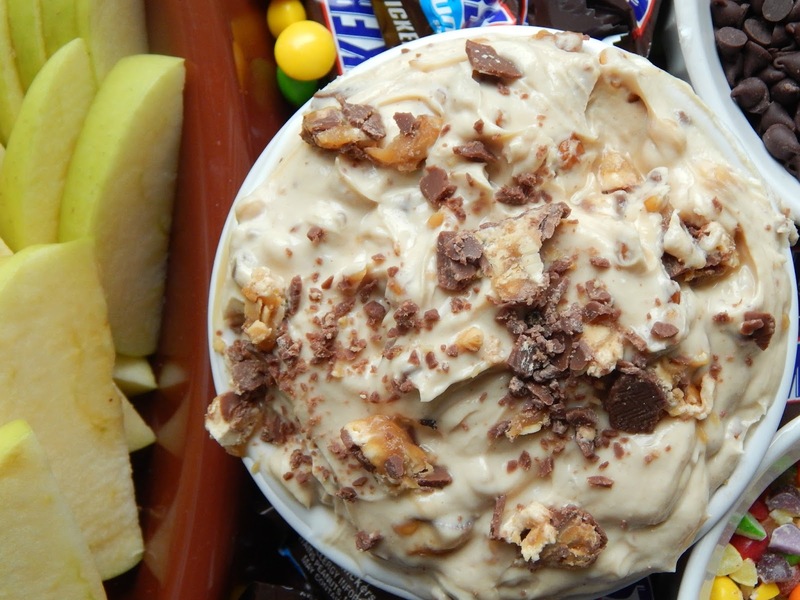 I will have lots to share soon, but today I wanted to share this tasty Snickers® Dip recipe that can be found on the Albertsons website. 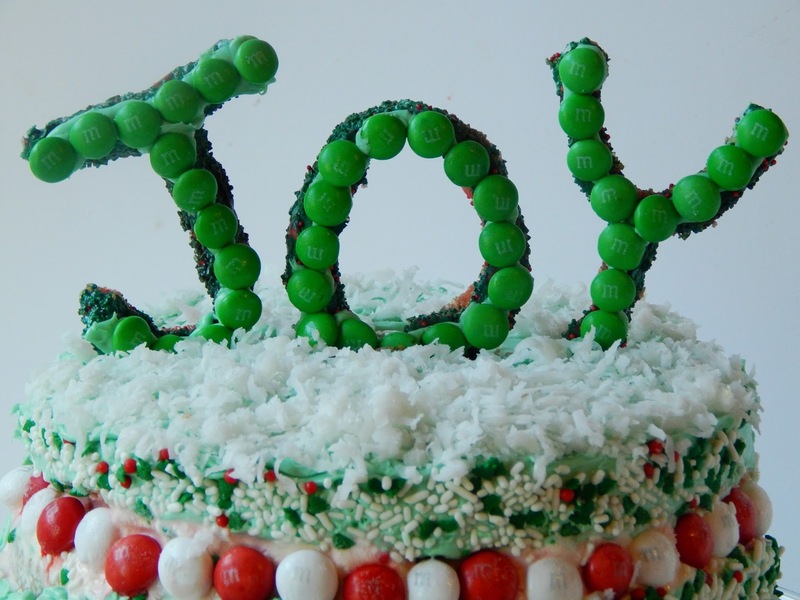 It’s a fun sweet dip that can be served at any gathering or party. It’s on my list to make for our Big Game viewing in a couple of weeks. Of course I had to test it out ahead of time, you know, to make sure it had everyone’s approval. It did. This last weekend was…kind of crazy. The kids have been rather short tempered and tried my patience at times. I’m not sure if it’s just a change in the weather (gloomy days outside), anticipation of all of the holiday activities, or what, but I knew somehow, someway, I needed to get them to change. We went and picked out our tree – that didn’t help. Then, we got two children to agree on a tree, the other didn’t like it. We went and watched a tree lighting ceremony in our small town, and barely made it in time because they played around at dinner time. I was exhausted. Finally, I turned up the Christmas music, and gave up. 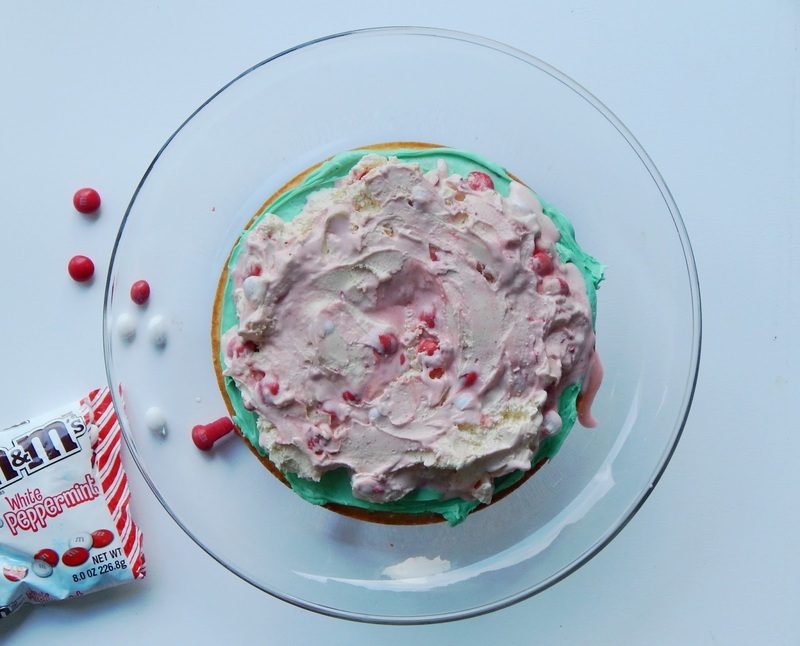 I brought out the dessert I made for this weekend anyways: a Joyous white peppermint ice cream cake made with Pillsbury™ Funfetti® cake with vanilla ice cream with crushed M&M’s® White Peppermint candies . I figured, if you can’t beat them, join them, right? Sometimes it’s just better to get through the rough times by celebrating life anyways. I tried to sit back and focus on my blessings, rather than my frustrations. 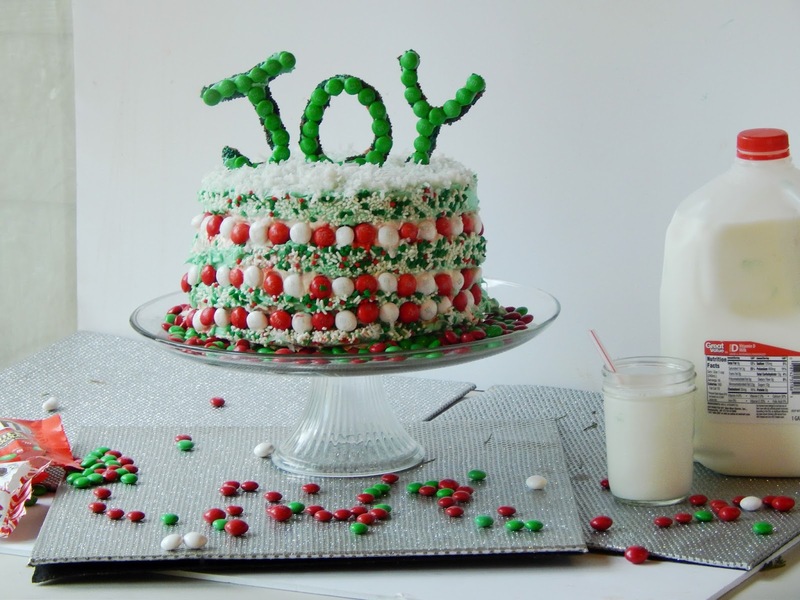 We sat down and sliced up the ice cream cake, poured some milk – and started talking. We talked about past Christmases – like where we bought our trees and which place was our favorite. Then we talked about how the holidays were when I was a kid, and what everyone’s favorite parts of the holidays were. 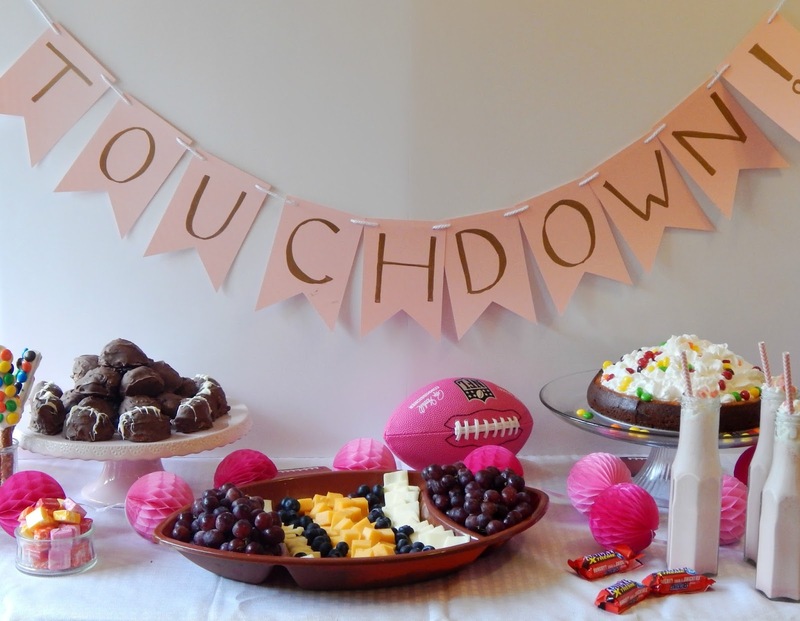 Sometimes, small celebrations like enjoying cake made with love can bring everyone together and make a good memory. I hope the kids will look back one day after they are grown and smile. And I am grateful. 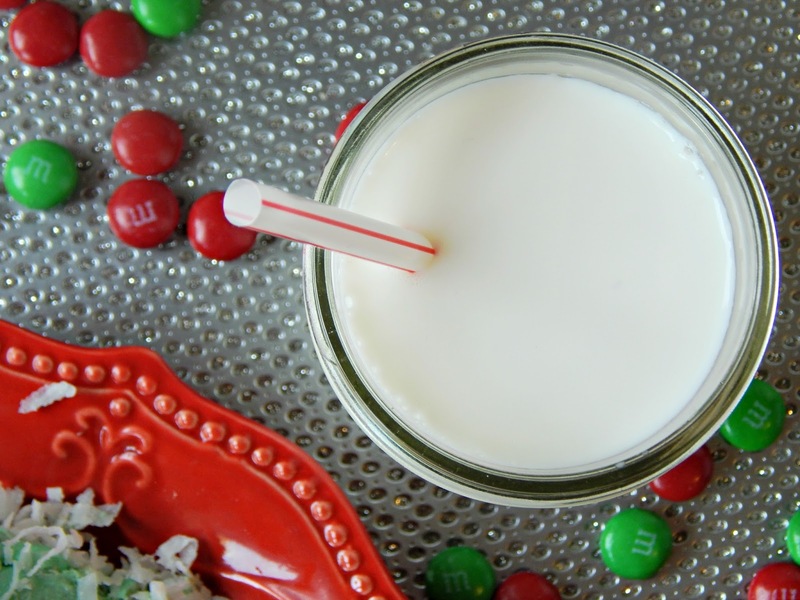 I know that not every child out there can eat treats, or even drink milk on a regular basis. There are hungry children and families in every community and it breaks my heart. 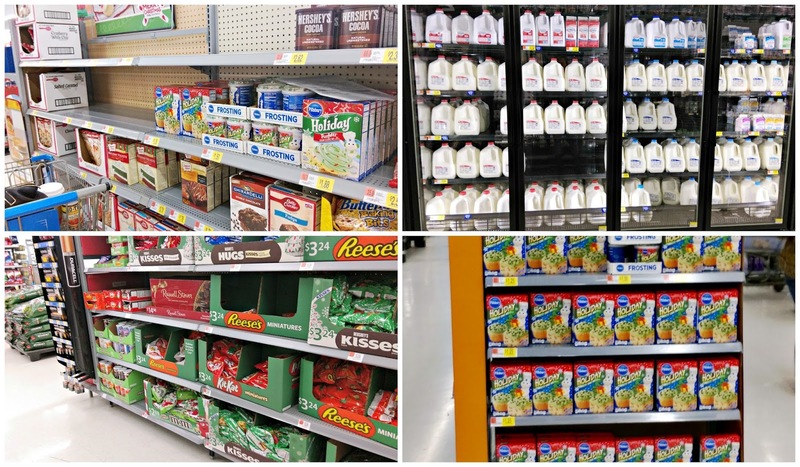 Unlike a lot of foods, milk isn’t typically donated to food banks – even though it’s in high demand. Right now, for a small donation at pourmilklove.com the Great American Milk Drive will deliver a gallon of milk to a family in need in YOUR community. 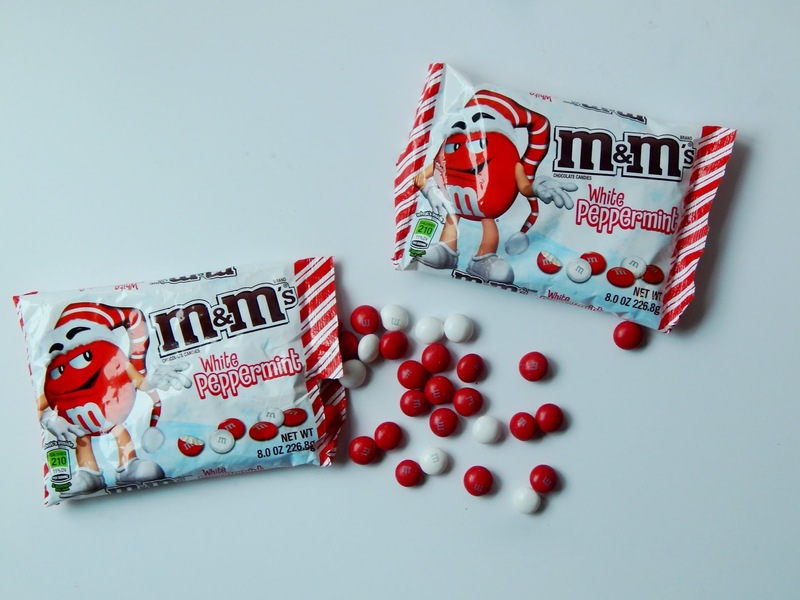 Right now, when you purchase 2 bags of M&M’s® at Walmart (9.4 oz. 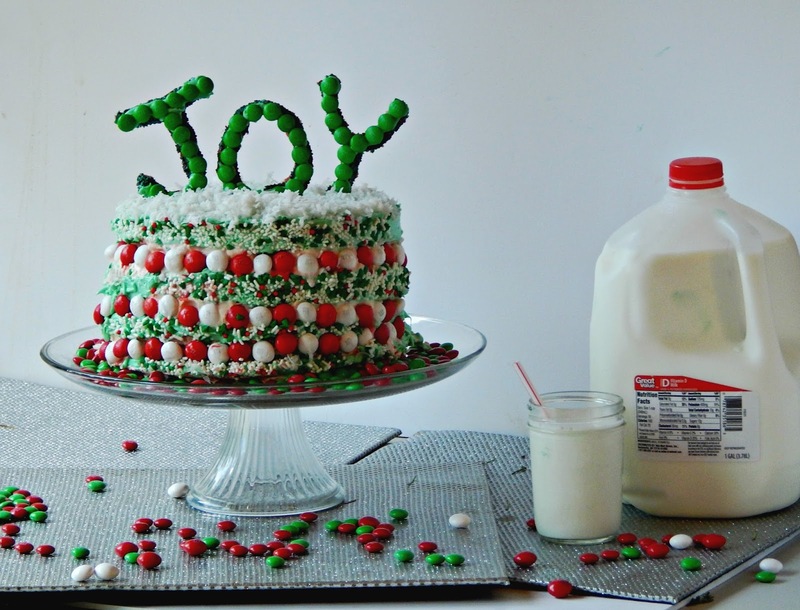 bags or larger) for your holiday baking, up to a gallon of milk will be donated to the drive. 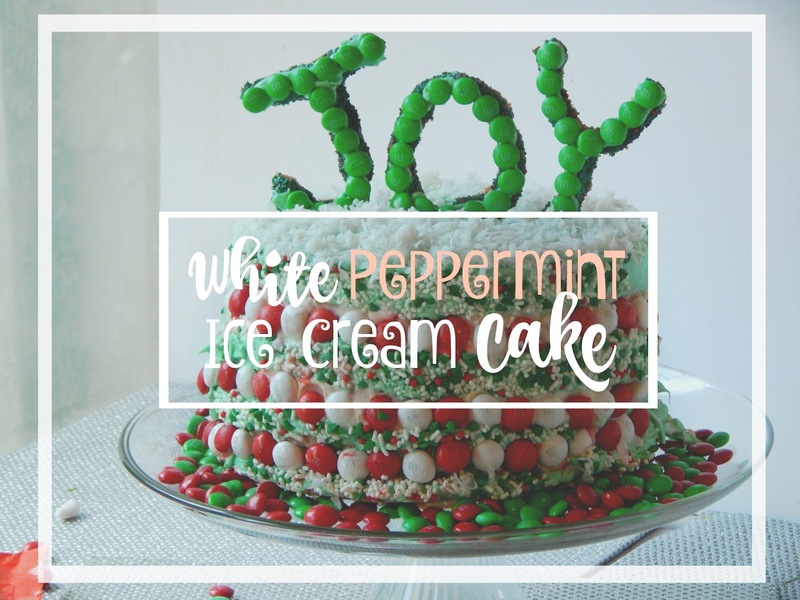 Below is my recipe for the White Peppermint Ice Cream cake, but there are also bunch more fun recipes online as well! Select influencers are currently competing to win a kitchen makeover, and by voting on your favorite photo, you are entered in a drawing to win one of eight KitchenAid® mixers. Bake the cakes per the instructions found on the back of the box and place into 8” round pans. You should make a total of 4 cakes. Cool on wire racks until room temperature. You can either make the ice cream in your ice cream maker, or if you are rushed for time buy a good quality vanilla ice cream. 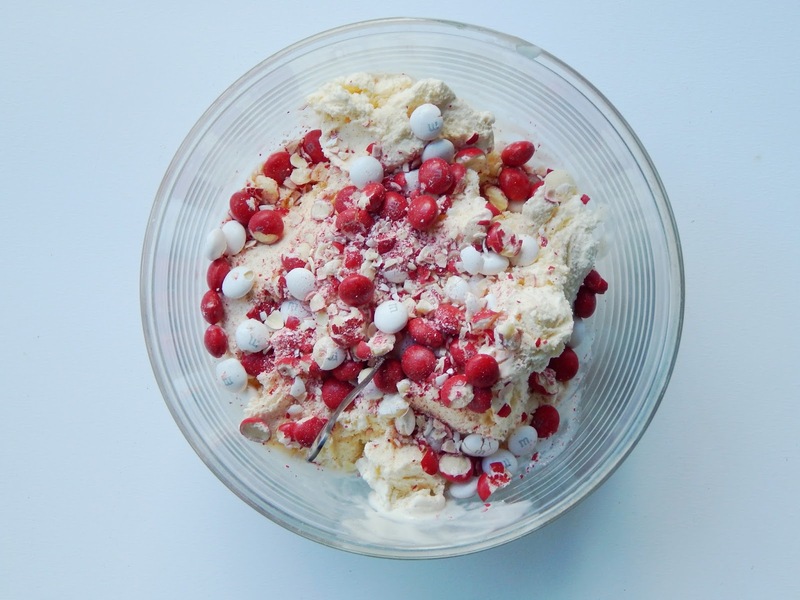 If making your own ice cream, add all ingredients into your ice cream maker and churn until done. 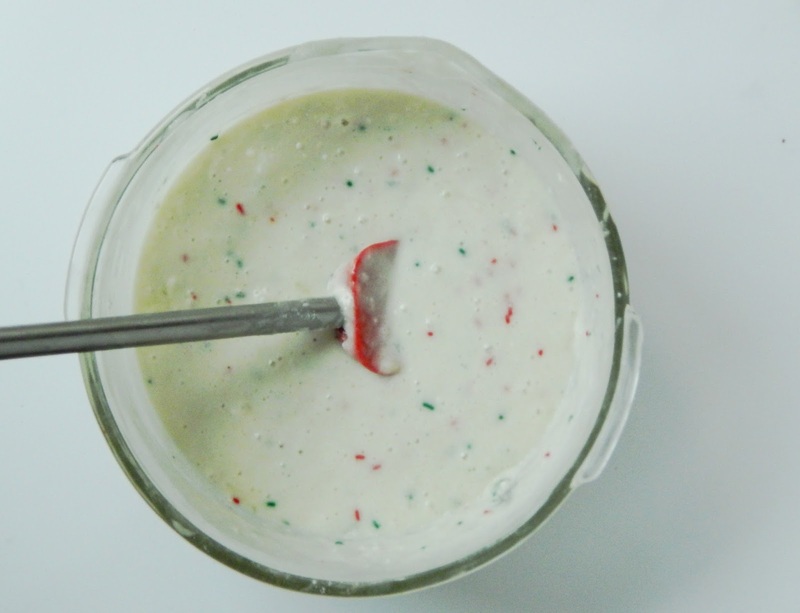 Mix in crushed M&M’s® White Peppermint candies by hand when finished. 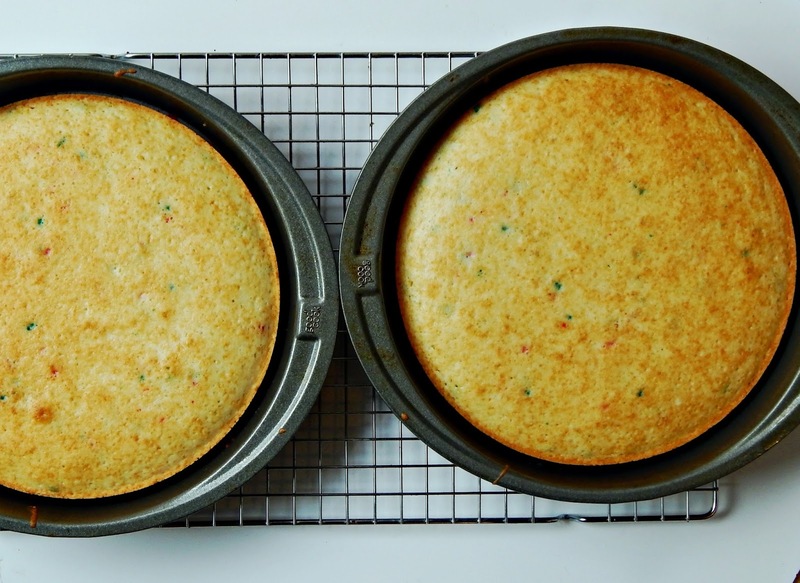 After the cakes are completely cooled, level each layer with a cake leveler or large knife. Begin assembling the cake. 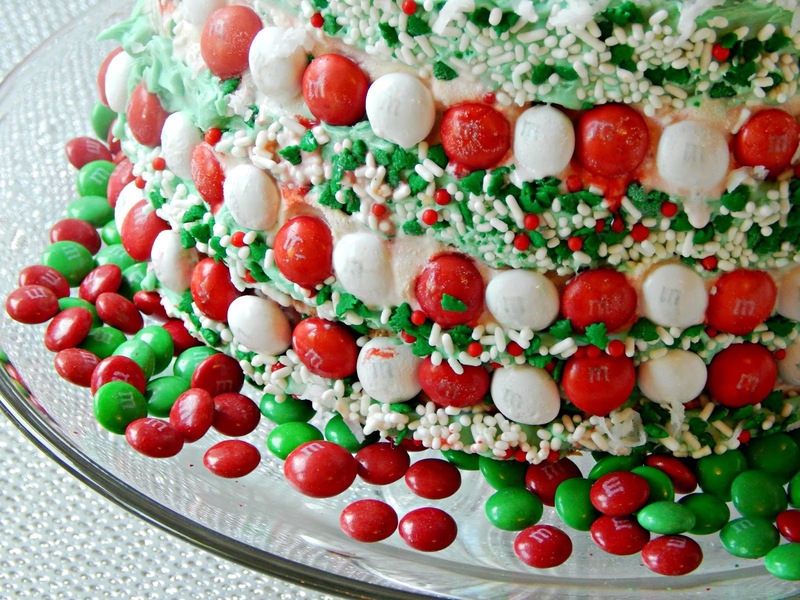 Place the first layer on your cake stand, then top with a thin layer of icing. 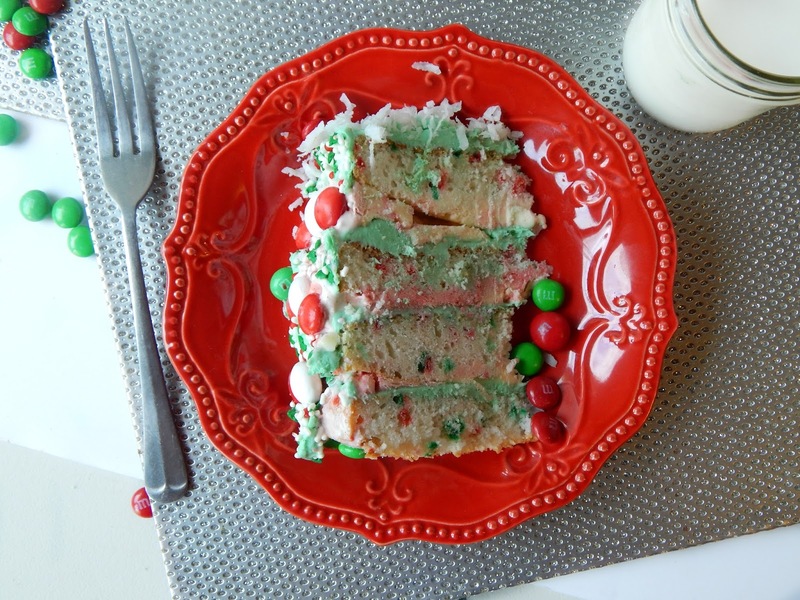 Scoop ice cream onto the cake evenly. Continue to do this until all four layers of cake are assembled. If need be, place the cake into the freezer halfway through to firm up. 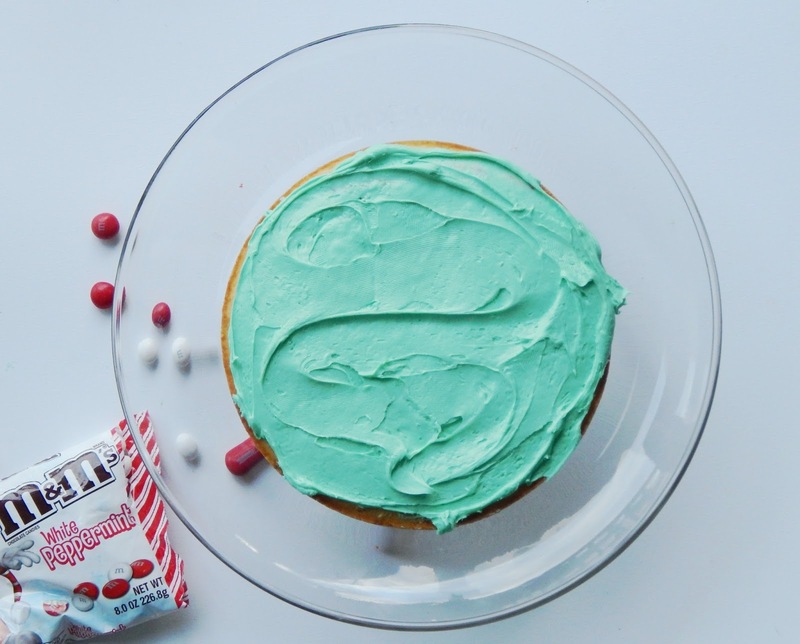 Using an icing bag pipe frosting onto the sides of the cake and then gently pat on the sprinkles which come with the Pillsbury™ Funfetti® Vanilla frosting. 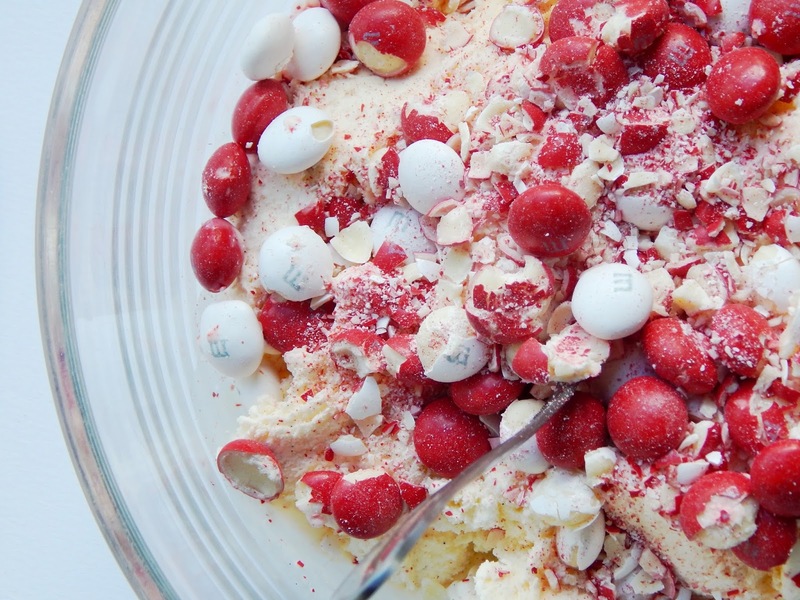 Press additional M&M’s® White Peppermint candies into the ice cream layers. Top with coconut if desired. Place in freezer until ready to serve. When your household gets crazy what do you do? What tips and tricks do you have to bring back the peace? 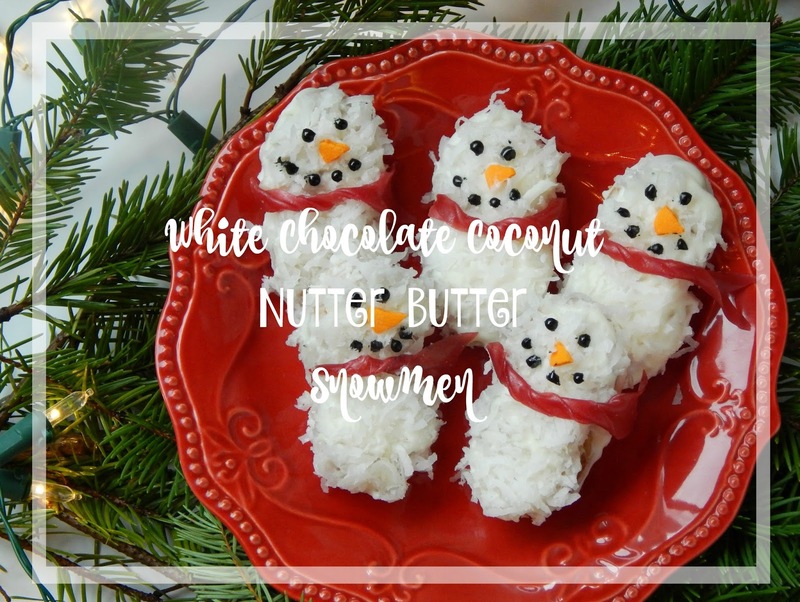 Check out this website for more fun holiday baking ideas! Join Feeding America in The Great American Milk Drive, the first-ever national program to help deliver highly desired and nutrient-rich gallons of milk to hungry families who need it most. Log onto milklife.com/give to learn about the need for more nutritious foods in America’s food banks and how your small donation can make a big impact. Yesterday I had multiple events (again) that I was invited to attend. This time of the year is just so much fun – and incredibly busy. We got done watching a wild middle school basketball game at 5pm and I was supposed to head off in one direction while Wayne took the kids to Noah’s wrestling practice. But I changed my mind. Instead, I took the girls, drove home, finished cooking tacos for dinner and sat down and decorated cookies with them, and not just any cookie: Nutter Butter cookies. The holidays are coming! I repeat: the holidays are coming! 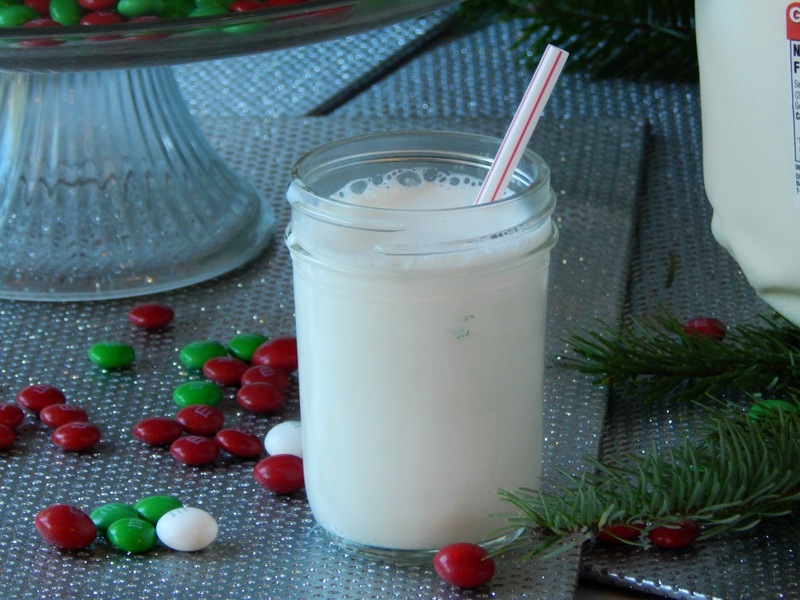 While we will be eating more than our fair share of ham and turkey over the next month, we will also have to think of other food and drinks to serve to our family and guests when we run out of leftovers…or just want something different to eat. 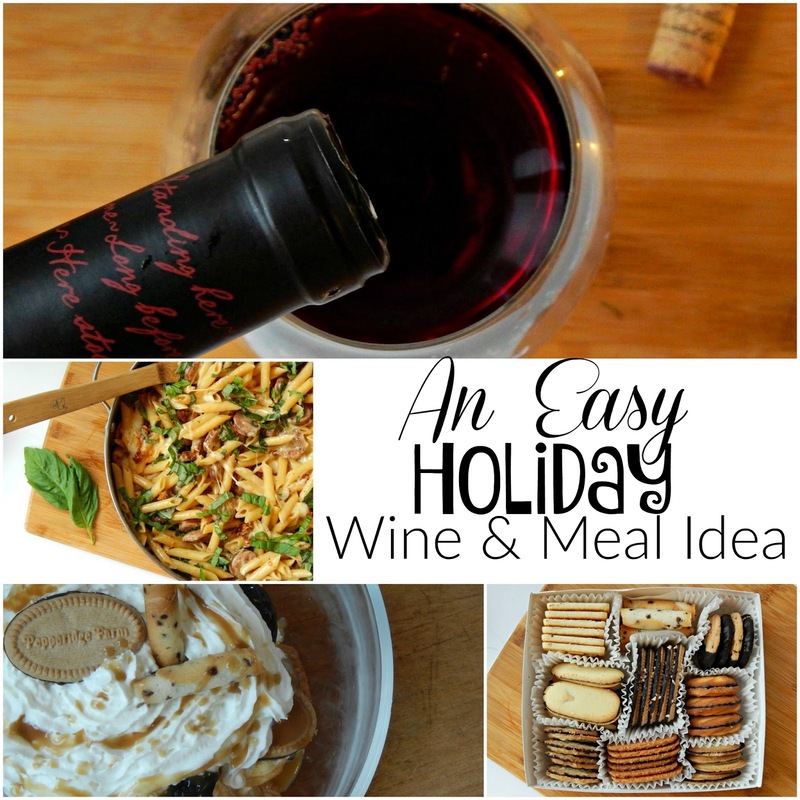 If you will be finding yourself like me; hosting guests for several days at a time, you have to serve pasta and wine one night for dinner. Barilla has this pasta called Pronto Pasta that is super easy to prepare and is ready in minutes. It’s actually prepared in one pan – no need for water to boil, and there’s no draining required! The options are limitless as to what you can add in and create for dinner, but I like to make a Sweet Sausage Sundried Tomato Dish with Basil in creamy Mozzarella cheese. The holiday season is so magical. This time of the year has always been one of my favorites because all of the activities promote togetherness, and making memories. These are the times for traditions and family, and I’m definitely excited to jump in and have a few magical weeks with mine. Some of my favorite holiday memories are probably the same as yours: trimming the tree, having a big meal together, and of course decorating holiday cookies, but those aren’t the only fun traditions to keep with your family. Last weekend we had a blast. Emma had her first basketball games, we went and saw The Peanuts Movie , and we went on an overnight glamping trip to the beach. Yes, I said glamping. 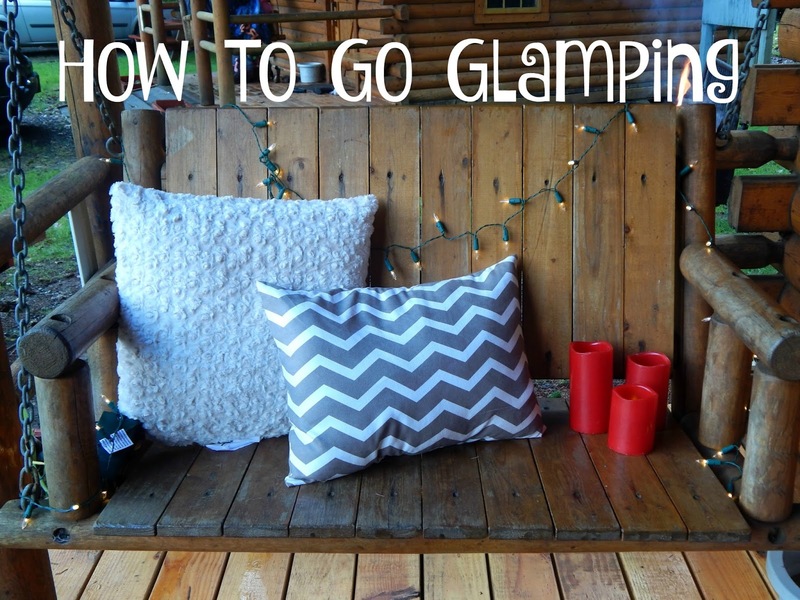 If you aren’t familiar with the term, glamping refers to glamour camping, and it’s my favorite kind of camping. It’s coming: Halloween! Yesterday I purchased all of the goodie bags that I’ll be filling and handing out to all of the trick or treaters on the 31st; now I just have to purchase the tons of candy that I will need for the 300 + ghost and goblins that normally knock on my more. When we moved here 8 years ago, I had no idea just how big Halloween was in our little neighborhood; in our small town. I’ve since then learned and become prepared. Today, I’m chaperoning Noah’s first “big kid” field trip with his Kindergarten class to the pumpkin patch, where we will go on a hayride, do some fun activities, and pick out pumpkins. We love going to pumpkin patches and normally go a handful of times every year, but I’m running behind with so many soccer games going on, so this is the first pumpkin patch trip of the year! I’ll have to get the rest of the family together and head out to one this weekend or next so we can spend the day together and stock up on more pumpkins for decorating purposes.